About a month ago I got a lovely email telling me all about a new brand, what caught my eye about it was that this new brand was cruelty free and natural. My skin has been an absolute nightmare over the past few months and I'd gone through every skincare product I owned and nothing was working. I read posts all the time about people singing the praises of natural products and how much of a difference they can make to your skin so I thought I'd give it a go! I've been trying out 5 products from Eloquence Beauty over the past month, some products have worked better than others and I've come out with some new favourites! 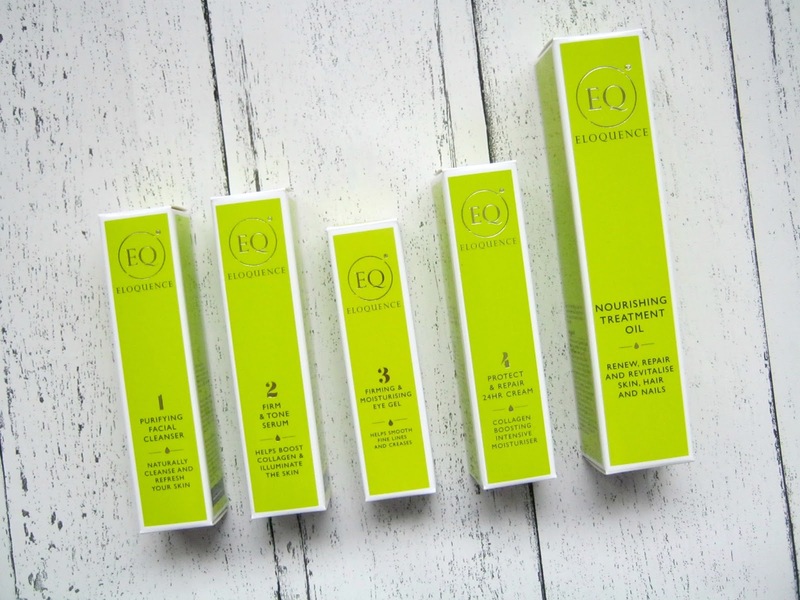 Eloquence Beauty are a natural premium skincare brand that is also cruelty free and they mainly focus on skin hydration, skin health and anti-ageing. They use Sacha Inchi Oil in their products as it is known for its high levels of vitamins, antioxidants and fatty acids. It has a unique combination of Omega 3 which helps to restore elasticity and Omega 9 which helps combat skin dehydration. Step 1 in the range is the Purifying Facial Cleanser* (£8) which contains added cucumber and coconut extract which helps to leave your skin feeling refreshed instead of tight. This is a really light and gentle product with a refreshing scent that helps you to wake up in the morning, my skin definitely doesn't feel as tight and dry after using this but I can't say I noticed too much of a difference compared to other cleansers I have used. It wasn't my favourite out of the bunch but it is still a lovely product and it works well with the rest. 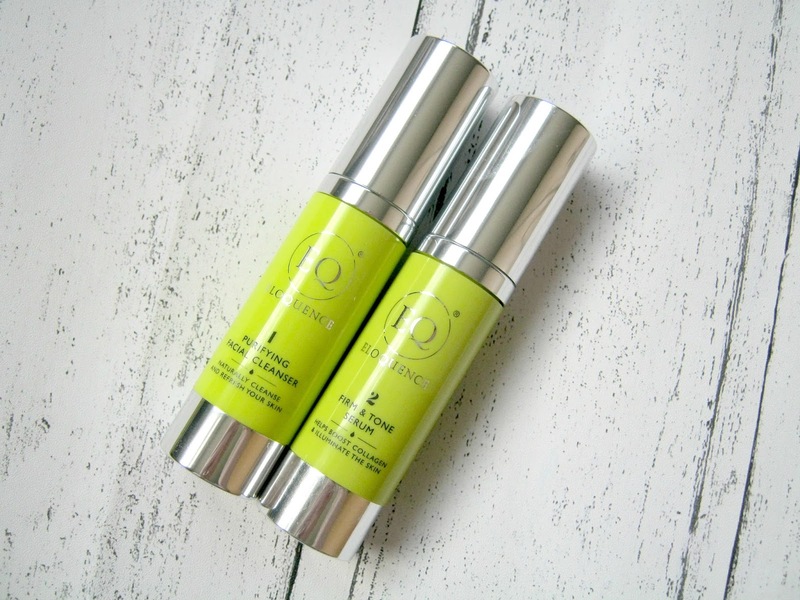 Step 2 was a product that I loved a lot more and it is definitely one of my favourites out of the 5, whilst I don't need anti-ageing products yet I still really enjoyed using the Firm & Tone Serum* (£20). It contains some things that are great for your skin like hyaluronic acid and coconut oil as well as the sacha inchi oil that I mentioned earlier. I'm a big fan of serums and at this time of year I just can't go without one, I've switched between a few different brands over the years but I think this has to be the best one I've tried so far. Whilst I'm still only 18 my skin doesn't really need toning or firming but I did find that this hydrated my skin a lot and just left it feeling and looking a lot nicer! 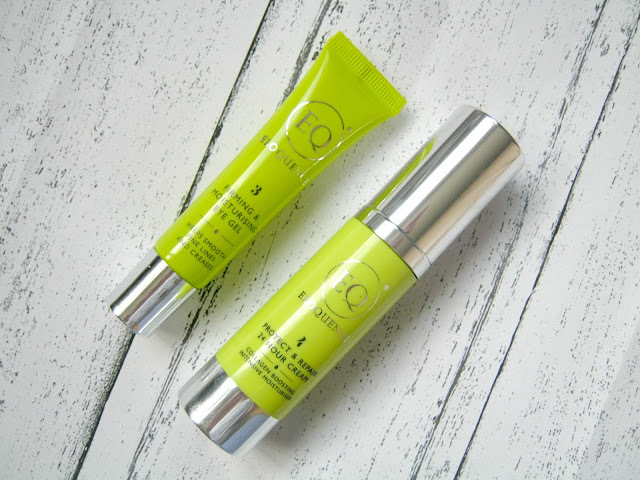 The product that sits at joint favourite with the serum is Step 3, the Firming & Moisturising Eye Gel* (£26). I'm not surprised that I like this so much since it contains some of the same ingredients that the serum does like the hyaluronic acid. I've always had really dry under eyes so finding a hydrating eye cream is always at the top of my list whenever I change up my skincare routine. Whilst I have really enjoyed using this and it has performed better than some of the eye creams and gels I've used in the past I personally couldn't see me paying £26 for it! Step 4 is the Protect & Repair 24hr Cream* (£21) that again contains hyaluronic acid as well as having UVA and UVB protection. What I like about this is that it isn't marketed as just a day or night cream, you can use it both morning and night. I don't have the time or the patience to be messing around with a million different products for different times of the day so I really liked that this is a cream that you can use both morning and night. I found it to be really moisturising and hydrating and it works well with the other products, by the time I've reached this step my skin is feeling well and truly ready to face the cold weather outside! 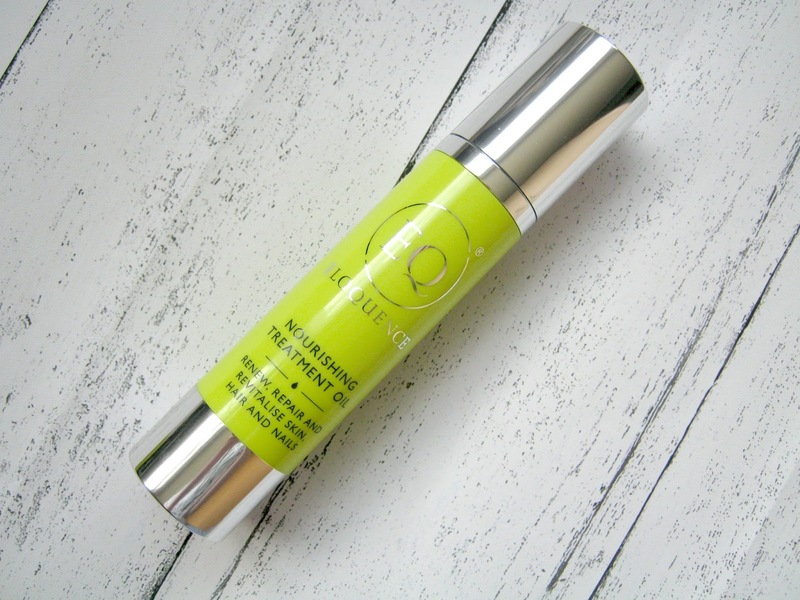 Last but not least is the Nourishing Treatment Oil* (£50) which I've also been trying out recently, it's the most luxury product out of the whole range. It contains coconut and sweet oil which helps to renew, repair and revitalise your skin, hair and nails. The lovely team recommended that I mix a little of this in with some of their other products to give them a boost and I have found that when I do use it my skin just feels that little bit softer and my foundation has been going on very smoothly. I haven't used this on my hair yet but I have tried it on my nails and they are looking in much better shape after applying this for a few weeks! It's a great all rounder product that would last you a long time. I have to say this is probably my first big leap towards using more natural products and I've really enjoyed it so far. Leave me some recommendations below of any natural products that you like to use!